Great musicians are able to think ahead, hear the music in their heads as it approaches, and anticipate what their hands need to do in the moments to come. To do this best, I highly recommend you MEMORIZE your music. 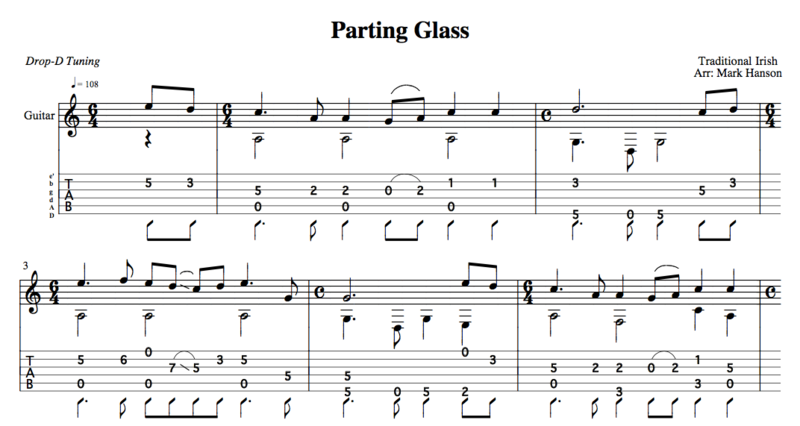 To memorize your music: STOP READING IT. My suggestion for memorizing: play each passage of a tune you are working on copious times while reading it, but then CLOSE THE BOOK, or turn the music over so you CAN’T read it. Now play it without looking. If you stumble, go back to the notation/tab to ensure you are playing it correctly. Then close the book again. Correct repetition while reading will have drilled the music into your hands and into your ear—that is two-thirds of the battle. The other third: look at your fretting hand so that you land every chord and every note EXACTLY where they belong. Since the fretting hand is normally the one that moves a fair distance, that is the one to watch—and the one the audience watches, even though most of the music is generated by the PICKING hand. For tappers, watch the hand that is moving in the moment. For people who can’t watch their fretting hand—the Doc Watsons and Jose’ Felcianos of the world—many do a magnificent job of playing without ‘watching’ the fretting hand, of course. But for them, the other two parts of the equation (the hands and the ear) are exceedingly well developed. Have fun, and stop reading the music! P.S. 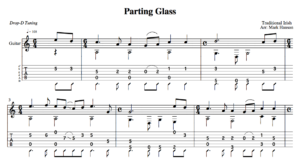 The notation/tab/audio of my arrangement of the Irish traditional tune “Parting Glass” referenced above is here. Thanks for this article. I recently got into Bluegrass flatpicking (a la Doc Watson) and was curious how I would instinctively know to play the next note without conscientiously thinking about it. Your article reinforced though frustrating as it may be, ‘practice makes perfect’ wins everytime.